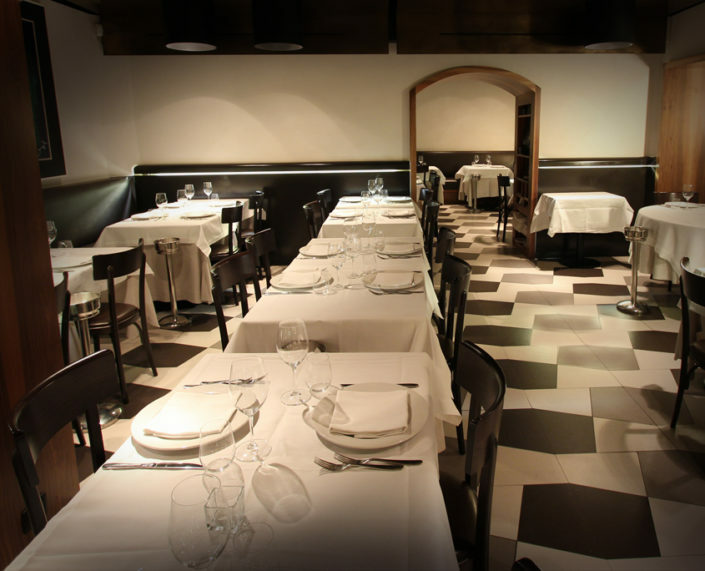 Rome’s PIERLUIGI RESTAURANT offers its patrons the opportunity of organizing Special Events and Private Dining Parties. Exclusive, intimate, elegant ambients and culinary delicacies served by our experienced waiters, accompanied by fine wine by our professional Sommeliers, can render your special occasion unforgettable! 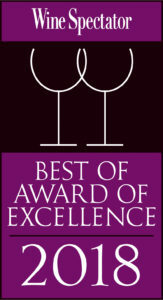 Please contact us to plan any special events, corporate lunches and private dinners. We can help you personalize your occasion with with special menus (for example vegan, gluten-free, allergy-free) as well as decorative accents such as flowers, candles, etc. 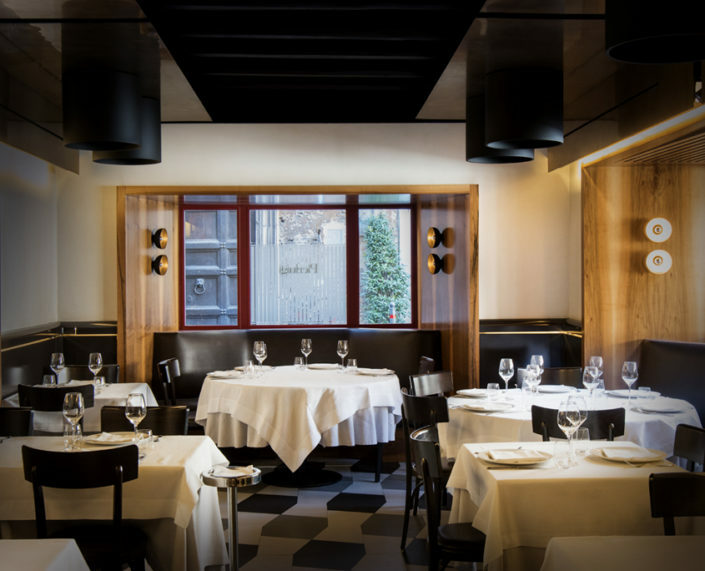 Our Clients can choose from two exclusive ambients: indoors, within the intimacy of the Bar and Restaurant, and outside, amidst the magnificent atmosphere of the historic Piazza de’ Ricci. A warmly lit and elegant atmosphere embraces a welcoming seventy square meters, studied and produced by the PSLAB specifically and exclusively for our Cocktail Bar. 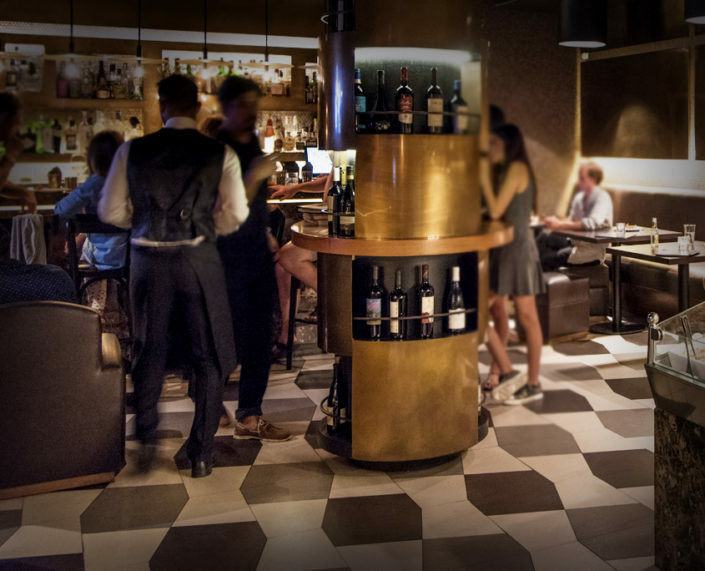 Comfortable seats at our Emperador Dark marble counter, are surrounded by tables, leather couches and a central showcase of selected prestigious wines from our Wine Cellar. 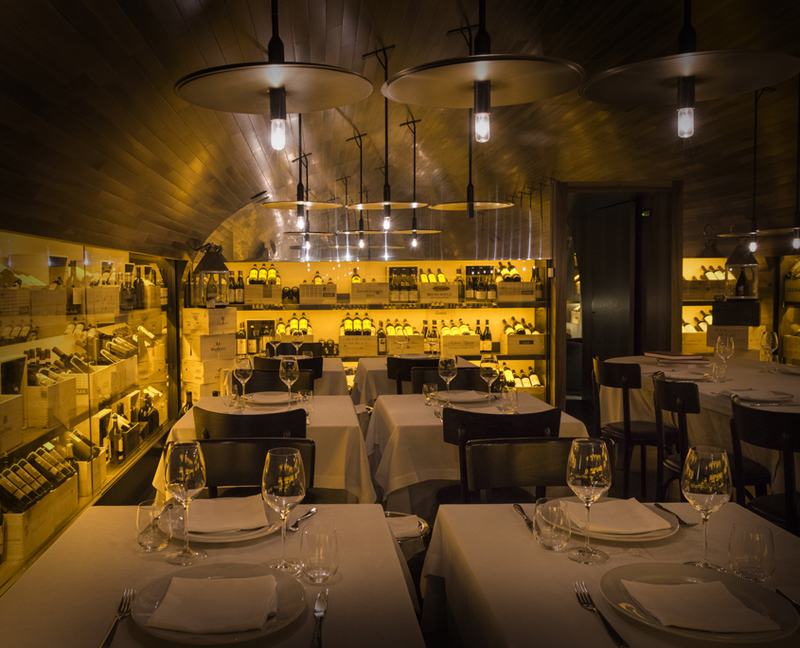 Here is ideal as an intimate and refined meeting place for special events, elegant lunches and business dinners. 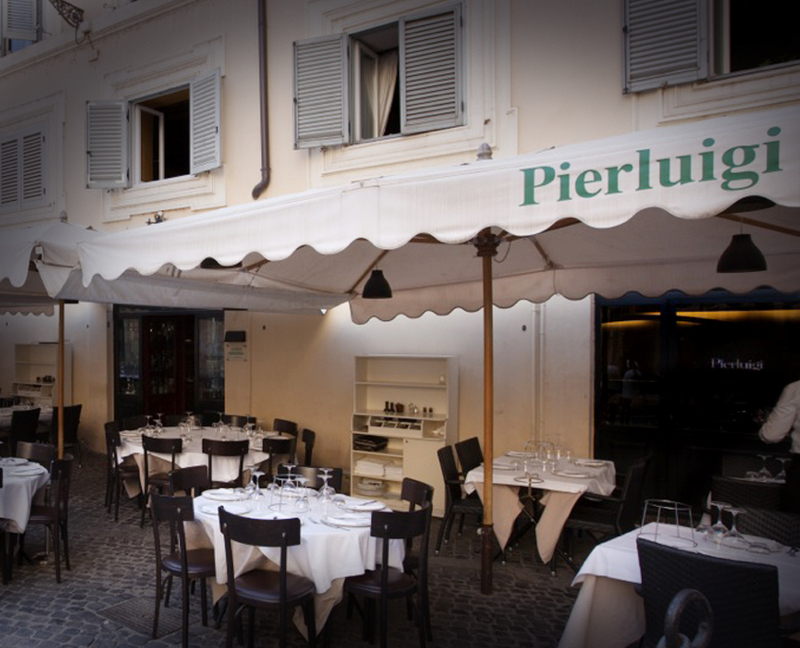 An actual open museum, the outdoor space of PIERLUIGI RESTAURANT has tables amidst the quiet atmosphere of Piazza de’ Ricci. Romantic and warm lights of Rome embrace the glimpses of adorned frescoes of the Renaissance period that date back to the XV Century by Polidoro da Caravaggio and Maturino da Feltre. Just a few steps away from Campo de’ Fiori, Piazza Navona and Via Giulia, our location is the ideal place to render your visit to the Italian Capital charming and elegant. Opened daily from 12:00 pm to 3:00 pm and from 7:00 pm to midnight, Pierluigi Restaurant is always lively, yet intimate and welcoming. For your special events, corporate lunches and dinners, you can choose one of the following rooms. You can also personalize with flowers and special decoration.